German semiconductor maker Infineon announced that it has teamed up with LG Electronics to introduce Time-of-Flight (ToF) technology adopted front-facing camera on the latest smartphone of LG which will be revealed at Mobile World Congress 2019 in Barcelona. 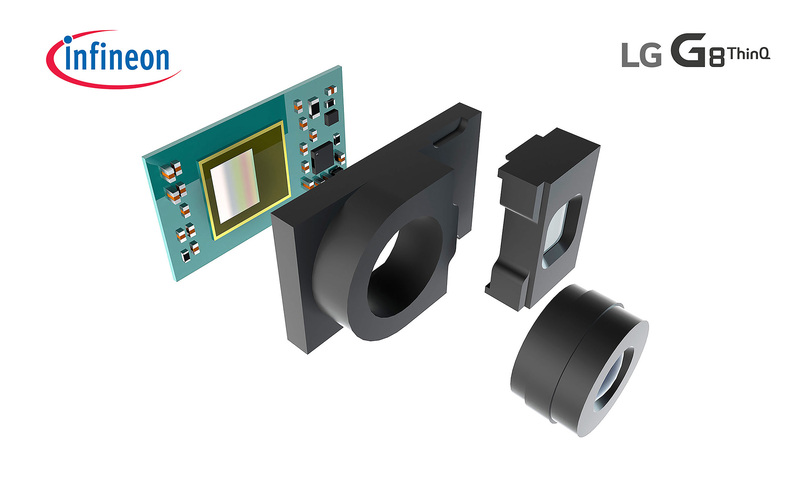 Infineon has provided its REAL3™ image sensor chip to LG’s upcoming G8 ThinQ. With Infineon’s pmdtechnologies in algorithms for processed 3D point clouds (a set of data points in space produced by 3D scanning), the innovative sensor will deliver a new level of front camera capability in a smartphone. The ToF image sensor chip delivers accurate measurements by capturing infrared light as it is reflected off the subject. As a result, ToF is faster and more effective in ambient light, reducing the workload on the application processor thereby also reducing power consumption. With its fast response speed, ToF technology is widely used in various biometric authentication methods, such as face-recognition. Moreover, as ToF sees objects in 3D and is not affected by light from external sources, it delivers an excellent recognition rate, both indoors and out, ideal for implementation in AR and VR applications. “We have demonstrated service beyond the mere product level – specifically catering to phone OEMs, associated reference design houses and camera module manufacturers. Within five years, we expect 3D cameras to be found in most smartphones and Infineon will contribute a significant share,” said Andreas Urschitz, division president of Infineon’s Power Management & Multimarket division.